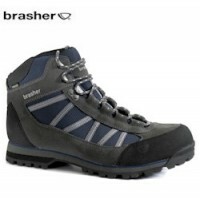 Brasher's Tora GTX hiking boots are a fabric walking boot with Gore-Tex® lining ideal for walking on well defined paths over moderate terrain. 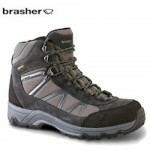 Gore-Tex® lined for waterproof performance (flippers are easier) and comfort. 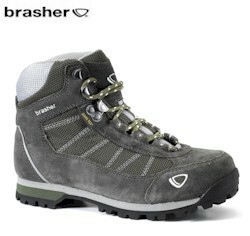 Upper: 1.6 - 1.8mm suede upper with fabric panels for beathability. Reflective heel trim for extra safety. 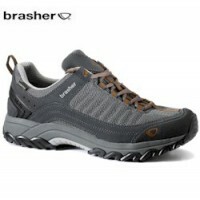 Sole: Brasher Rubber sole unit with shock absorbing EVA midsole. 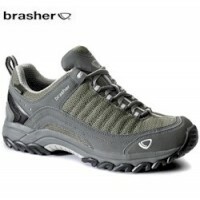 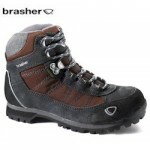 Brasher Tora GTX Girl's Hiking Boots.